The mob has cut off your trigger fingers - so you can hold guns, but not shoot them. You make due by simply hurling them at your foes. 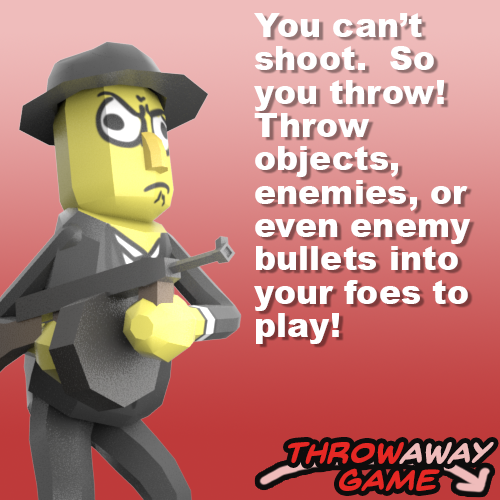 Throw props, enemies, or even enemy bullets to win! 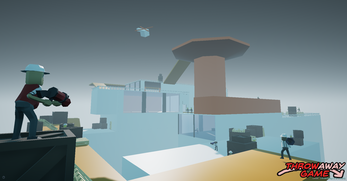 UPDATE: We've patched the bugs, updated the lighting, and tweaked the design ( a little) and now you can play something that more resembles the intended experience. I hope you enjoy! I don't see the download link. Something happen? Should be back up, sorry I was reuploading the game to get the true GOTY Edition on. It should be back up now, sorry but I had to reupload the game. Enjoy!